As I work with my clients, I strongly suggest working with a registered dietitian during recovery. There are times when questions surface during session can be better answered by a dietitian rather than an eating disorder therapist. Dietitians are an integral part of an eating disorder treatment team. Registered dietitians are educated professionals who know about not only food but also the way nutrition interacts with our unique bodies along with how nutrition can help improve our overall wellbeing. It can be helpful to learn about eating disorders and how trendy foods can impact recovery. This post will talk about helping you sift through a variety of trendy foods our culture encourages us to eat while prioritizing recovery from an eating disorder. 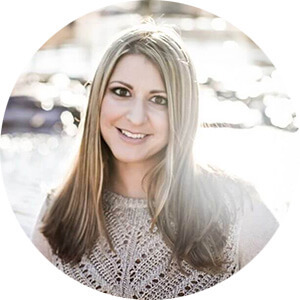 Lafayette Based Registered Dietitian Nutritionist and Certified LEAP therapist helps answer questions from individuals who struggle with disordered eating and eating disorders. 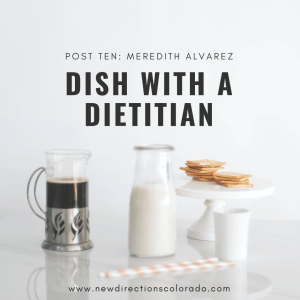 THE LAST DIETITIAN I SAW, WANTED ME TO EAT THINGS LIKE KALE, QUINOA, CAULIFLOWER PIZZA CRUST, COCONUT OIL AND CACAO NIBS. HOW DO YOU WORK WITH SOMEBODY WHO DOES NOT CARE FOR THESE TRENDY FOODS? My goal is to help you find freedom with food, not to make you eat certain foods. We will work together to be curious about new food options, but that doesn’t mean I expect you to eat all of them! Curiosity about new foods can be a fun experiment rather than a rigid set of rules. Eating food just in the name of its health properties will most likely actually lead us to feel resentful or dread eating that food. Food is meant to be enjoyable and pleasurable – things like kale and quinoa can be a part of that, but don’t have to be for every person! I TRIED TO DRINK KOMBUCHA. I HAVE A HISTORY OF GI ISSUES FROM MY EATING DISORDER AND IT WAS NOT A GOOD EXPERIENCE. CAN YOU TELL ME MORE ABOUT IT AND THE COSTS/BENEFITS OF DRINKING IT? IS IT A TRENDY DRINK THAT IS NOT FOR THOSE IN RECOVERY WITH HISTORIES GI ISSUES? Kombucha is a fermented beverage made by using a SCOBY – symbiotic colony of bacteria and yeast. It can be full of probiotics (which is another trendy food thing!) that can help some people with their digestion, but can make GI issues worse for others. Some foods and beverages, including kombucha, can cause digestive issues for certain people. This doesn’t mean that the food is bad, but just may not be a food that you choose to consume or is a good fit for you. Probiotics can be a wonderful thing to help some patients, but can exacerbate symptoms in people who have things such as dysbiosis (a microbial imbalance or maladaptation) or other health conditions. There are also a ton of different strains of bacteria that work well in some situations but not others. Always talk with your dietitian about your specific health history and if kombucha or other form of probiotic is a good fit for you. It’s important to listen to your body and how it feels. If drinking kombucha was not a good experience, then there is no need for you to keep drinking it! If you feel that you should be eating or consuming a new food or beverage just in the name of health, that can be a slippery slope towards rigid thinking. I do want to note that listening to your body and how it feels can be difficult for those that have an active eating disorder or are in recovery. I encourage you to talk with your therapist and/or dietitian if this is the case so they can walk through this with you. HOW CAN I NOTICE THE TRENDY FOODS WITHOUT GETTING INTO THE MINDSET THAT I ‘SHOULD’ EAT THEM SINCE THEY ARE BEING MARKETED AS ‘HEALTHY’ FOODS? Marketing in the food industry can skew our thoughts on specific foods and whether they are “healthy”. The trends and market will continue to change and will always try to sell us “new and improved’, but we have to remember to honor our own individual bodies through it all. I encourage my patients to approach foods with a sense of curiosity. Starting small and experimenting – without feeling like you need to like it – can help relieve the pressure on the “should” and “have to” thoughts. Give yourself permission to try new foods and be an observer without expectations around a specific outcome. If you find yourself getting stuck in the ‘should’ way of eating, we may need to dig a little deeper into why you’re not able to trust your body and preferences. SINCE ‘ORTHOREXIA’ IS NOT A RECOGNIZED EATING DISORDER, HOW DO YOU HELP THOSE IN RECOVERY FROM ‘CLEAN EATING’. MY STORY ALIGNS CLOSELY WITH IT AND PAST DIETITIANS SEEM TO NOT UNDERSTAND HOW TO HELP EXPAND MY WORLD FROM THIS NARROW VIEW. Rigidity and guilt around eating isn’t sustainable long term. Orthorexia is something that I think will be getting much more attention in years to come. It is not only common, but it can be debilitating for some people. I’m not as concerned with a specific diagnosis as I am with how things are affecting your life. If your approach to eating is negatively affecting your life, then we can look at adjustments we can make that will provide more freedom around food. That may include education around the ‘clean eating’ ideas you have about food, working on understanding where they came from and why you are feeling stuck. We will dig a bit deeper and approach it with a sense of curiosity to help you break free from the rigid rules that you feel confined by. Those rigid rules around food may be a protective mechanism and we will work together to figure out what is lying underneath. Along with our work together, I always require my clients who are struggling with an eating disorder or disordered eating patterns (such as orthorexia) to work with a trained therapist. DO YOU CONSIDER YOURSELF ADVENTUROUS WHEN IT COMES TO TRYING NEW FOODS? IS THERE A ‘TRENDY FOOD’ YOU WERE HESITANT ABOUT TRYING BUT NOW YOU ENJOY IT? I absolutely love trying new foods! I think it can be a fun experience where I can learn about not only the new food, but also about myself. Hemp seeds are a relatively new food on the market that I avoided for a while. I wasn’t sure if they would live up to the hype about their deliciousness. Now I love the way they taste! I will say I’ve also tried Kevita – similar to the kombucha in the first question above – and I absolutely did not like the taste of it. Even if it does have probiotics, why would I continue drinking it if I don’t like the taste? Meredith initially thought she wanted to become a physician, but after her own personal battle with an eating disorder during college, she decided to change her major to nutrition and study all she could about having a healthy relationship with food. She has a Bachelor of Science in Nutrition and Dietetics from the University of the Incarnate Word in San Antonio, TX. She is an active member of the Academy of Nutrition and Dietetics. 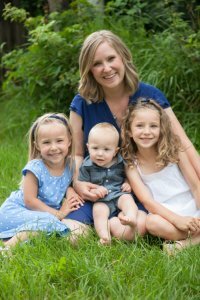 Meredith has been a Registered Dietitian Nutritionist since 2007, but the real learning started after she became a mom in 2008. While she had a strong foundation of understanding food and health on a scientific level, it wasn’t until her oldest daughter began struggling with health issues shortly after her birth that Meredith threw herself into research about true whole body health. She is passionate about learning all she can about food and its ability to heal, and more importantly, helping others with finding personal balance and health. She focuses on real food that is easily attainable in everyday life. She is also a Certified LEAP Therapist (CLT). When she is not in the kitchen experimenting with healthy meals all three of my kids will enjoy, she loves spending time outdoors with her family, dog Tizzy, and six chickens. Meredith really believes that there isn’t one perfect way of eating for all people. Every person has a different body, health struggles, goals, history, and life. She DOES believe that we can all have a happy and healthy relationship with food that enriches our lives. She is here to help guide you on the path to discovering how to have a positive relationship with food so that you can live an abundant life!